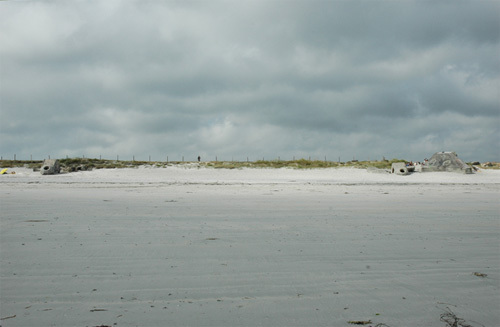 East of the village of le Guilvinec are sandy beaches. One of them is Plage du Stêr (Qu 49) which was defended by a Vf 600v, a 667 and two Tobruks. A 501 housed the crew. In the corner of the bay (le Grève Blanche, Qu 501) near the village one can find a covered bunker, either a 621 or 622.